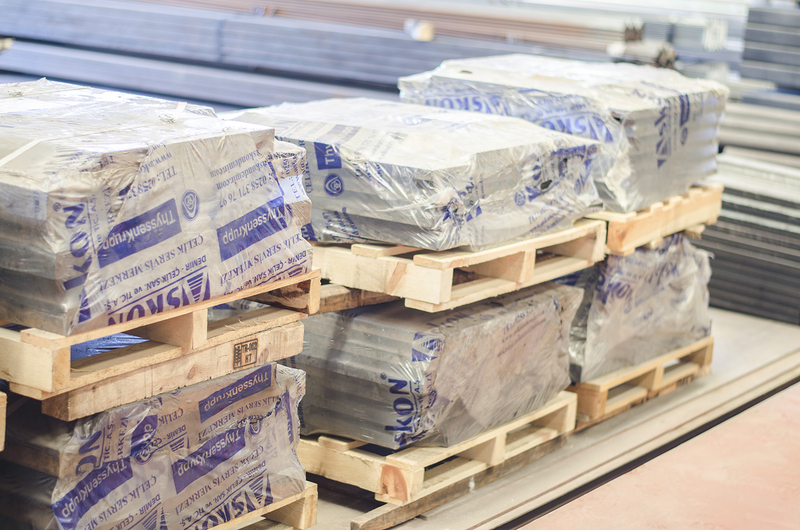 Shipping preparations are made by considering clients’ requests in our steel services center. Firstly, products are covered by plastics to ship them to clients unharmed. All products are also put on pallets to make them easy to carry. Finally, products are ready to be sent to clients.